Modern e-commerce world is full of web stores that are in competition with each other. Trying to apply up-to-date gimmicks, web store owners are waiting for prospective customers and benefits they bring. Despite the fact a lot of web shops follow current trends, unique web shops are getting less. That’s why we’ve picked out the most popular brands which web stores are run on Prestashop staying bespoke. Let’s discover e-commerce world in more details. McDonald’s is a giant in fast food business. Being a world-famous brand, the logo of which any adult, as well as a child, knows, the company relies on the Prestashop platform for French site version to provide e-commerce supplies. In fact, the variety of items represented on the web store is not so big, that’s why in this case Prestashop is considered as a perfect choice that can fit customer needs. Ma P’tite Culotte is believed to be a beloved luxury lingerie brand that creates innovative and original items that satisfy the needs of any women all over the world. Established in the country which is familiar with femininity and beauty, the brand is trying to win popular affections by providing excellent services. In addition, the web store is based on Prestashop in order to guarantee customers an excellent shopping experience. Jewelry boutique which is called Harry Fay makes thousands of women happy around the globe. The company specializes in the design and creation of silver jewelry, like rings, engagement rings, necklaces, earrings and signet rings. All the products presented in the web store are made of the highest quality silver. Focusing not only on the quality of products but also on providing top-class services, the company has chosen the Prestashop platform upon which the web store is run. In fact, they’ve succeeded in it. Pop-line.com is a webshop providing various modern furniture as well as unique gifts to decorate kids’ rooms. Having gathered products of all kinds including baby toys and items meant for home design, the web store has deserved confidence as the place where customers get inspired by unique bedroom decorating ideas for kids. And needless to say, the web store is based on Prestashop. Salling.dk is a huge department store that contains items of any category including wine gourmet, kitchen equipment, home accessories, toys, notebooks, and maps. The distinctive feature of the department store is online status, that’s why it is the most significant web shop in Denmark. Providing customers with quality products as well as top-class services, the web shop has made its name. Despite the fact there is a great variety of products, the web store owner gave preference to Prestashop and the team of BelVG company which is known as an expert in Prestashop Web Development. 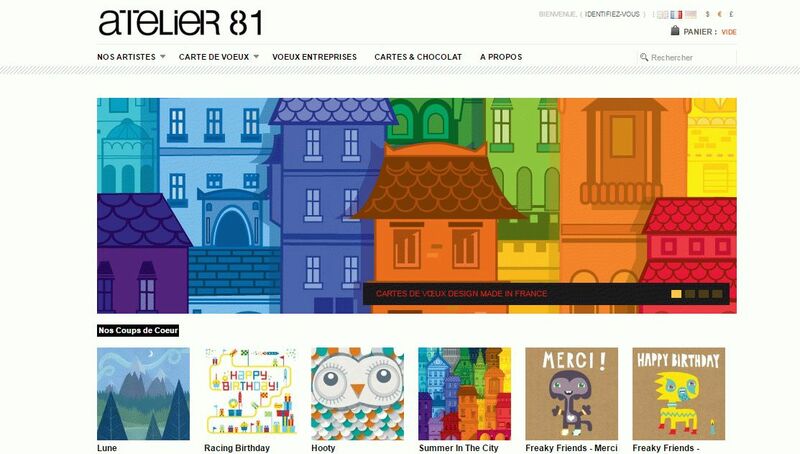 Atelier 81 is one of the well-known web stores that makes customers happy by supplying greeting cards. The online shop which is run on Prestashop offers a selection of premium quality greeting cards with a twisted edge designed by artists from all over the world. Customers around the globe can use the services proposed by the company despite the fact it is located in France. 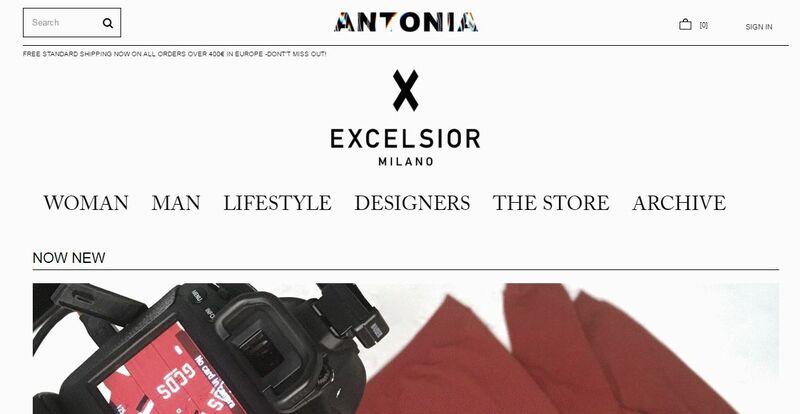 Excelsiormilano is a web store supplying designer clothing and accessories that customers find it to their taste. Designed in the country known as a trendsetter, the world of fashion can be explored by any client worldwide via the web store which is designed in a simple and unique manner. Moreover, the web store is run on Prestashop that help follow trends and step up with the times. 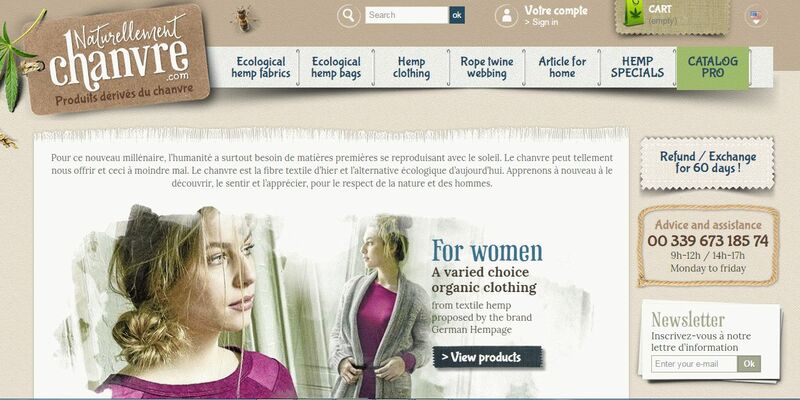 Naturellementchanvre is a web store famous by ecological fabrics from which products are made. Focusing on the idea to produce eco-friendly items, the web store is a cozy online shop that provides customers with the clothing that is considered to be natural. Those clients who are familiar with the issue will be impressed with the variety of products and its quality. Besides, the web store that has been designed on Prestashop fits customer expectations. Archiduchesse.com is a web store dedicated to hosiery and deals in a variety of goods. Providing a lot of various socks that differ in size, color, and fracture, the webstore is known in most countries. In spite of the fact that the items represented on the site are peculiar, the web shop is run on Prestashop and makes customers satisfied. Bolina Sail is a famous brand that produces handmade recycled sails bags and accessories. Inspired by the sea, the web store supplies goods such as original, functional and stylish bags and accessories. Based in Italy, the web store gets customers around the globe satisfied with the quality products as well as high-level services. The website has gained a good name with the help of Prestashop.